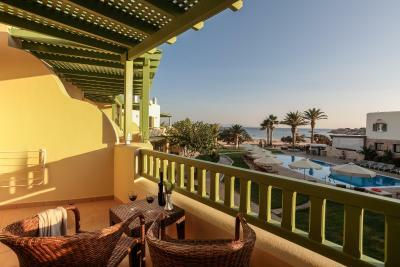 Lock in a great price for Finikas Hotel – rated 8.9 by recent guests! Great pool, great view great staff the beach by the hotel was ok but we walked down where the staff told us and it was amazing we were alone on the beach, and then explored 3 others it was spectacular! If you are looking to escape from all the crowds and noise this is the perfect place to be. Beautiful Aliko Beach within 15 min walk. Comfortable room. Good breakfast. Staff were incredibly helpful and friendly. The quality of the breakfast was so high!!! The conference center was Super! The friendliness of the personell as well as the hospitality was also amazing. I will come back for relaxing next time. It is ideal!!! 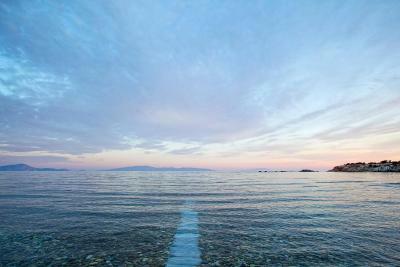 We booked at finikas due to a small conference in its premises.Finikas naxos seems like a painting. The landscape around is so natural with wild beaches and a magnificent cedar forest near by.We had the chance to sleep while hearing the waves of the sea and goat bells in a distance. Everything was perfect away from city lights and the late check out was highly appreciated. We shall definitely next year!!!! The hotel is nice, room are comfortable and well decorated. The pool and sea view is very nice as well. Walking distance to pretty beaches. The location was a bit fat but well isolated in front of the private beach. Everyone was helpful but friendly with beautiful facilities and good meal. It was one of the best experience inn my trip. I got an up-graded room and it was fantastic. I hope to come back soon. Staff has been very nice, ensuring a comfortable and easy stay, thank you again! 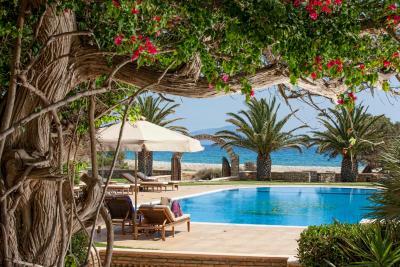 Finikas Hotel This rating is a reflection of how the property compares to the industry standard when it comes to price, facilities and services available. It's based on a self-evaluation by the property. Use this rating to help choose your stay! 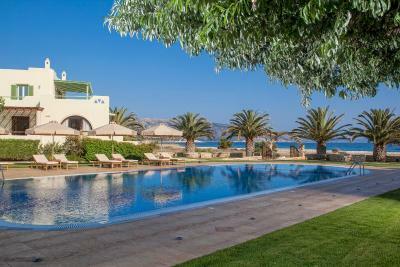 One of our top picks in Aliko Beach.Set amid a 4,000-m² garden, Finikas offers sea-view accommodations and a pool. 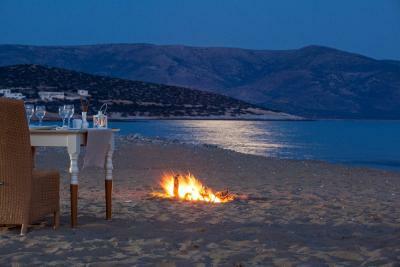 It is located a few-minutes' walk from Alyko and Pyrgaki beaches and close to the white sand dunes. 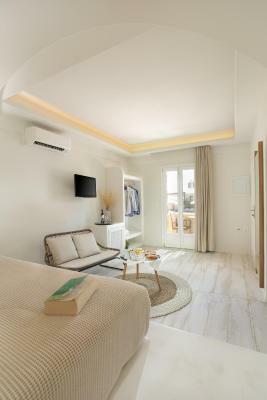 All air-conditioned rooms with attached bathroom of Hotel Finikas are equipped with free internet access, and have a fridge, satellite TV and safe. They all come with private bathroom with hairdryer. 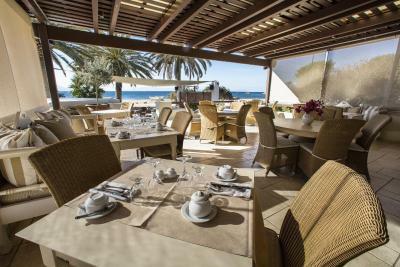 The hotel’s restaurant serves a la carte lunch and dinner. 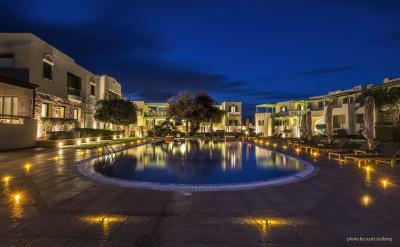 There is also a pool bar, where guests can enjoy a refreshing drink or cocktail. 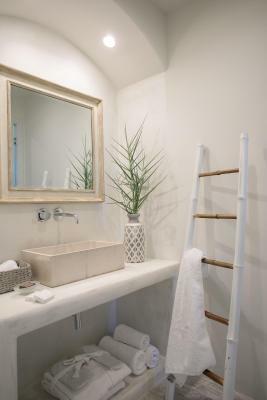 For those looking to unwind, there is a hot tub, a sauna, and a hammam on site. The hotel also has a well-equipped fitness room. 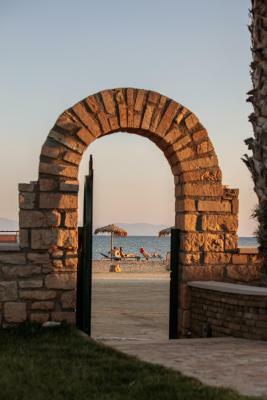 Naxos town is 11 mi away, offering shops, nightlife and dining options. 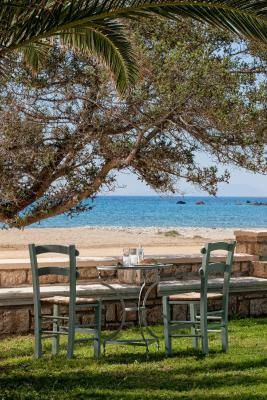 Naxos Airport is a 20-minute drive away. Free parking is available on site. 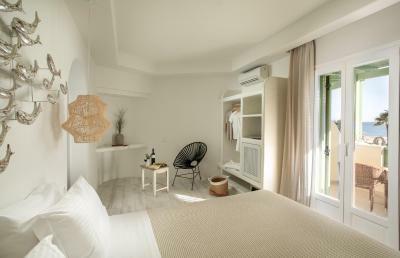 When would you like to stay at Finikas Hotel? 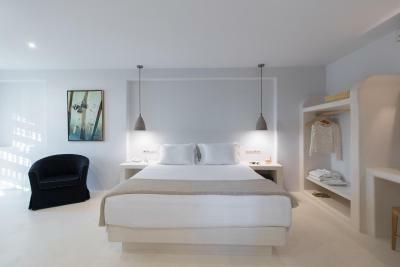 This suite type can accommodate a maximum of 4 guests. 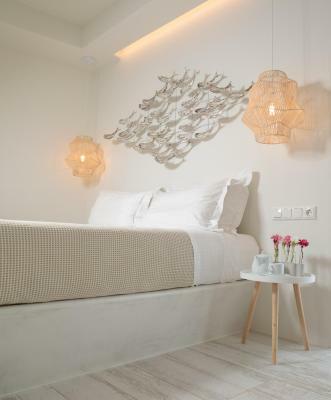 Please note that a baby cot or an extra bed can be accommodated in this room type (see hotel policies). 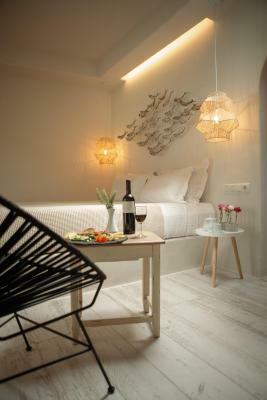 Please note that an extra bed or a baby cot can be accommodated in this room type (see hotel policies). 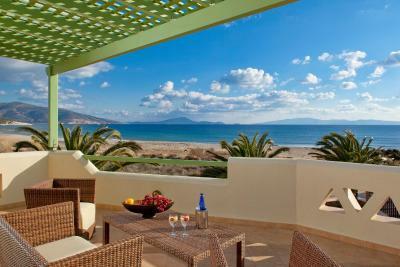 Dear Guests, Finikas Hotel was built in 2006 and the latest renovation ended in May 2012. 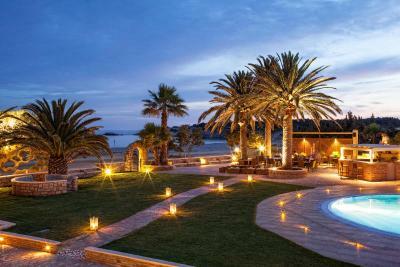 Finikas Hotel offers exclusivity, quality services and an environment of pure relaxation. 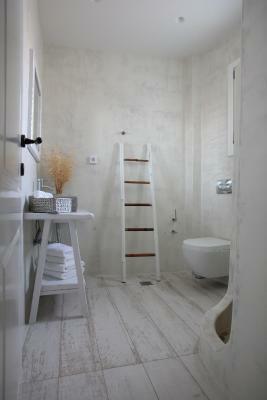 The recent renovation, added luxury as well as traditional and local elements to one's experience. 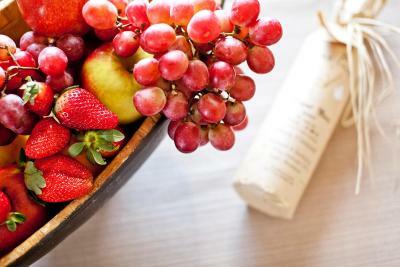 Relax at our 'sea water' pool, and enjoy the services and local cuisine/treats that our "Juniper" restaurant offers. Visit us & let us share hints about the island! 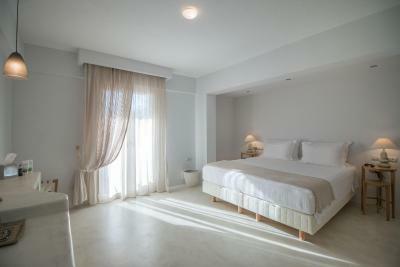 We hope you enjoy Finikas Hotel as much as we do.See you in Naxos..! 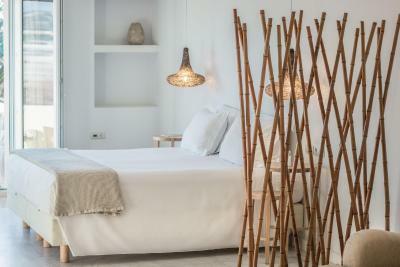 House Rules Finikas Hotel takes special requests – add in the next step! 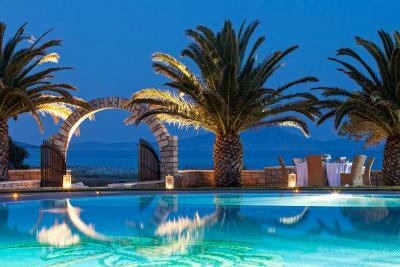 Finikas Hotel accepts these cards and reserves the right to temporarily hold an amount prior to arrival. You can inform Finikas Hotel of your arrival time and staff will arrange a taxi transfer or a car rental pick up from the Port or Airport with extra charge. Please note that for group reservations of more than 5 rooms, different policies and additional supplements may apply. Please contact the property directly with the contact details provided in your confirmation. 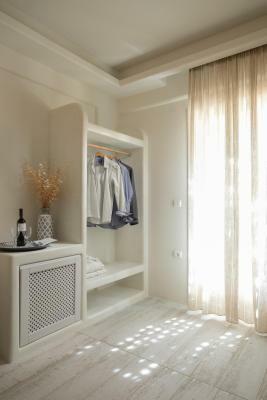 Housekeeping is provided daily from 09:00 until 16:00. The hotel is a bit far from the town and the nice beaches. Excellent staff, pool was nice, good breakfast. Perfect surrounds for a relaxing holiday away from crowds. Location is far away from everything. 30 min drive to the next town. Nice if you want to do completely nothing but else bit difficult. Room was amazing. Spacious and comfortable. The beds were very uncomfortable. We both left with sore backs. The propert was nice, the rooms clean. The bed was very uncomfortable and the location a bit too far from things. You couldn’t stay there without a vehicle. Not the hotel fault, but it is located a bit far to everything, you need a car to go around the island. The hotel helped with the car renting anyway. The restaurant of the hotel is nice, staff is very nice as well, but a bit disappointing they do not propose much greek specialties on menu. There were some staffs who made a discuss in front of clients. It is better to do this kind of things outside. The swimming pool was with salt. It would be fantastic with pure water. A little dated - falls short of luxury in terms of food and service even if it aspires to that. 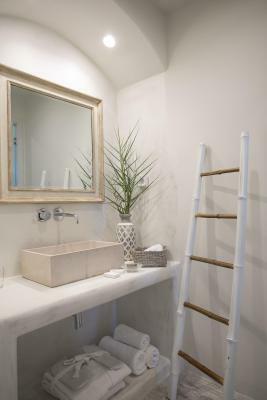 Spacious, clean and comfortable. Good place to relax . it's quiet and close to deserted beaches which are lovely (if a bit stony). The variety of options at the restaurant could be improved but other than that we do not have more criticisms to make. Very comfy room. Very nice swimming pool and very nice view.